As July 4th approaches and we think about our rights, like the right to privacy, we should think about how technology has changed that right. Let’s look at some recent patent applications that may limit your right to privacy just by using your smartphone. The patent application entitled titled “Augmenting Text Messages With Emotion Information” that Facebook submitted in 2015 seems not only creepy, but also extremely invasive. 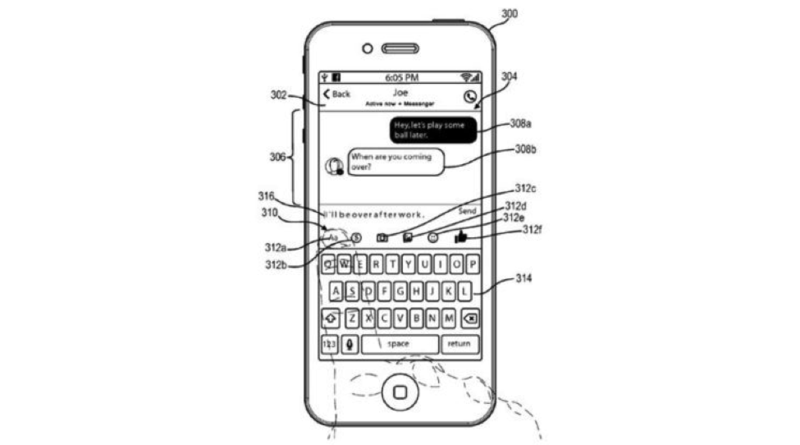 The patent application claims that by identifying one or more words in the text of the message along with the speed and pressure of typing on the keyboard that the emotion of the use can be predicted. Do you want Facebook to know your emotions based on how hard and fast your press your phone keys? Or is this just a little too invasive into your private conversations? What about the camera fingerprinting patent application filed recently? Heard about that one? This patent application covers a method for creating “fingerprints” that attach to particular cameras and photographs and then match those photographs with particular social media users. Essentially, Facebook can analyze images uploaded by users and determine the unique signifiers of the cameras used to capture the images. The patent application even discusses looking at things like the user’s style of naming image files, and using that information to create “inferred” connections between the original user and other users. 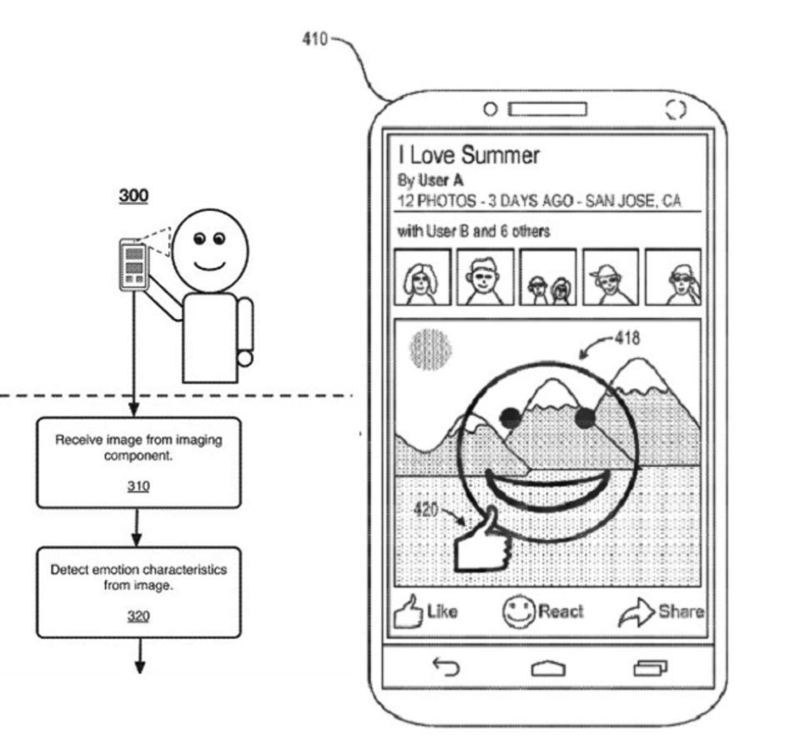 A third patent application submitted by Facebook combines the camera aspect with the emotion aspect of the two just discussed. It is the emotion-detecting smartphone camera. This technology actually spies on users through their smartphone cameras and reads the emotions on their faces as they scroll through their Facebook feeds and allows Facebook to keep a storage file of your emotional responses to serve you “better-targeted” ads, content, and other media. A fourth of Facebook’s attempts to track a user’s behavior is a system for detecting boredom in users by tracking their movements as they scroll through Facebook’s app. The technology would present users with an initial set of content items in their Newsfeed, and then track whether or not the user pauses on any of the content items for an amount of time that meets a prescribed threshold. If a user paused on an item for five seconds as opposed to pausing for a shorter time period, Facebook can determine that you’re more interested in that content item. Is it boredom or is the user just busier than usual? Add this to the method for receiving information on a user’s eye placement as they scroll on the your phone and maybe that question will be answered. Many of these patents haven’t received approval just yet, but Facebook is certainly leading the charge in innovations that put user reaction at the center of its products’ performance. For users who desire a more optimal Facebook experience, personal privacy might be a small price to pay.